This is the first nonofficial description of what the new Notre Dame Under Armour Shamrock Series uniforms will look like and from what I read I love it. 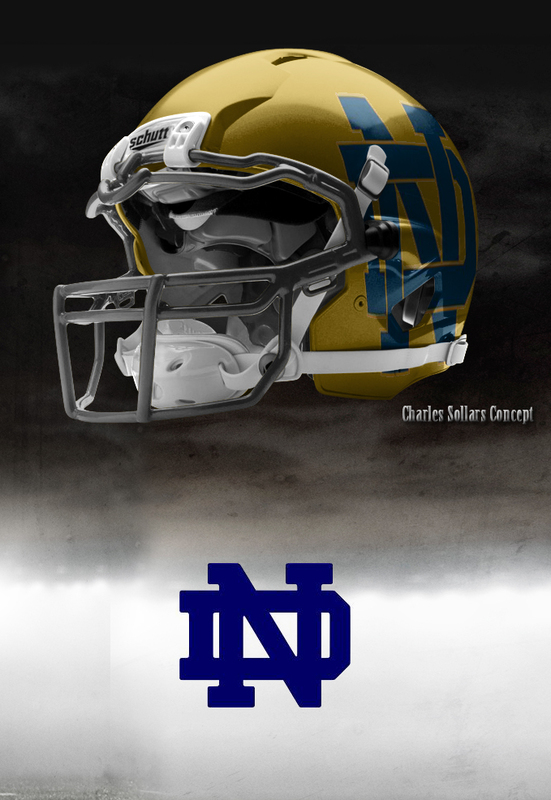 I've always wanted to see the gold helmet with the interlocking ND in navy on it. I think it will look really sharp. Pictures should be available soon and we will be selling the helmets as soon as we can get a hold of them.